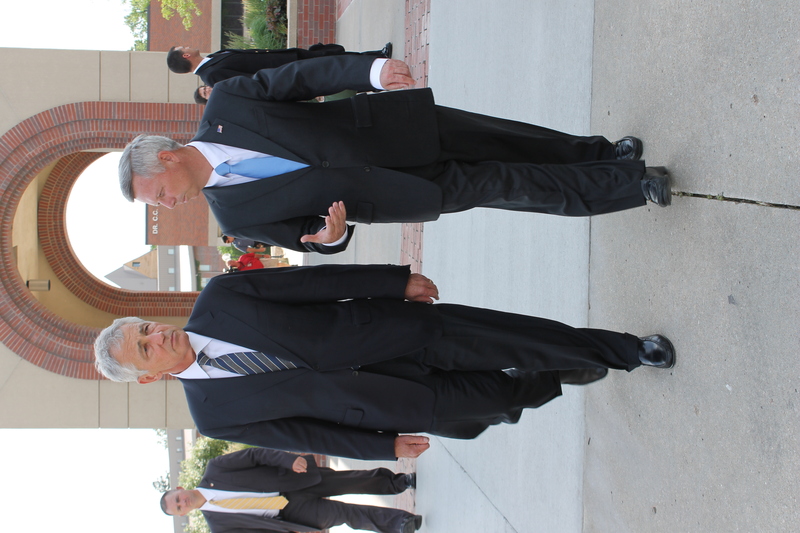 Omaha, NE – During his speech at the University of Nebraska Omaha June 19, Secretary of Defense Chuck Hagel detailed several key changes the U.S. must make with the Department of Defense moving forward. Hagel said America faces new challenges in the 21st century, challenges that test what he called the ‘modern defense enterprise.’ Hagel said the new threats compel the U.S. to question its past frame of reference. “To respond to this necessary effort our Military is undertaking a series of important shifts that reflects changing geo-political dynamics, new threats, new technologies, and new fiscal realities,” Hagel said. Hagel said Iran’s President-elect Hassan Rowhani adds yet another layer to an already complex foreign policy. 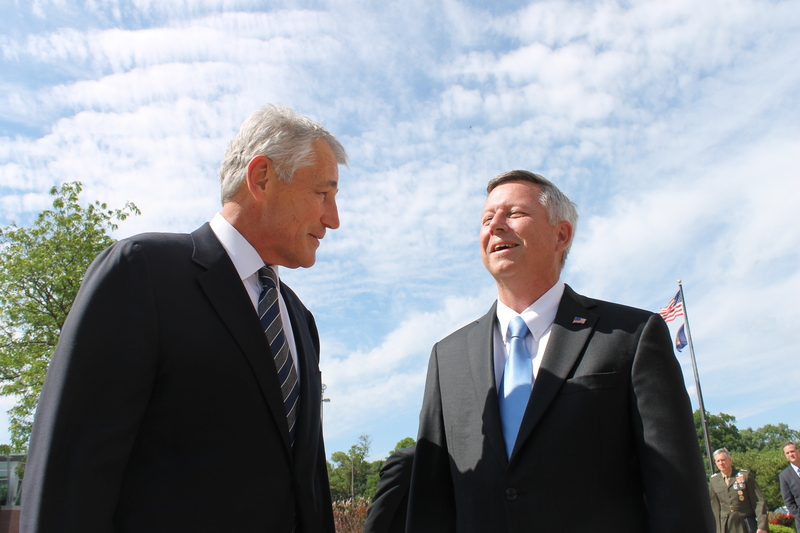 Hagel said cyber-attacks are a chief concern to the defense of the country. “Malicious cyber-attacks, which hardly registered as a threat a decade ago, are quickly becoming a defining security challenge for our time – for all our institutions,” Hagel said. “But it is not as simple as identifying a Navy sailing across the ocean or an Army crossing a border to attack you,” he said. “This is a fundamentally different more insidious kind of threat then we have ever seen, one that carries with it a great risk of miscalculation or mistake.” he said. Hagel said part of the answer to the threat of cyber-attacks is finding a common approach with all nations and coming together to quell it. He drove home the fact that the U.S. still has an unrivaled edge in its conventional military, but noted the country is dangerously exposed to cyber–attacks. Hagel and President Obama have worked together to increase the cyber budget even while decreasing the overall defense budget for 2014. An increase in Cyber defense has been caused by threats from North Korea, according to Hagel. He hopes relations between the two countries can change. 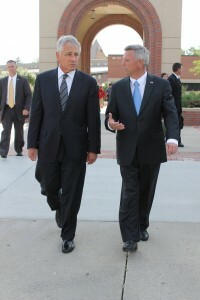 Hagel also pointed to the ongoing war in Syria which has claimed more than 100,000 lives to date. He calls the conflict combustible and unpredictable and said in a fluid situation like Syria you must weigh the pros and cons of action and inaction. He said President Obama is doing just that while also saying the overuse of military worldwide is misguided. Hagel said he knows that the U.S. faces many obstacles to the idea of peace looking ahead, but he is encouraged by the prospects. “America is a just, thoughtful and steady nation, worthy of its power, generous of its spirit and still committed to the profession of peace in a complex yet hopeful 21st century,” Hagel said. Hagel will visit Offutt Air Force Base June 20 for briefings on U.S. STRATCOM capabilities and to address command personnel.